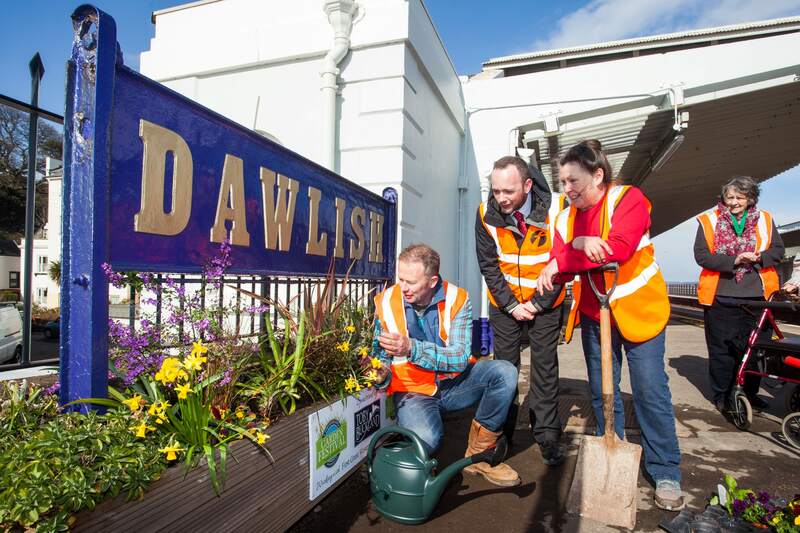 Dawlish station has received a green makeover prior to its re-opening thanks to TV gardener Toby Buckland and the Friends of Dawlish Station. Mr Buckland said: “As a Dawlish man born and bred I was horrified by the damage to the station but it wasn’t until I saw it for myself and spoke to the station manager that I realised that I could do something to help. 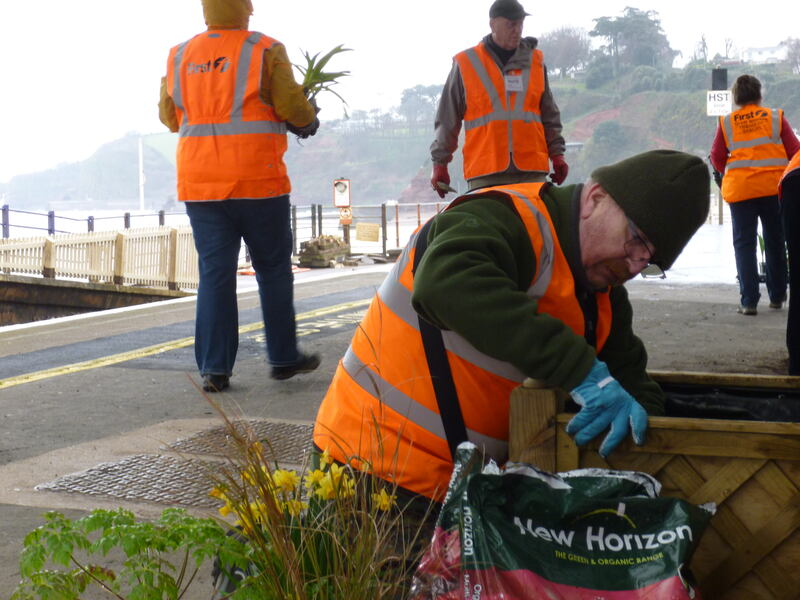 Eight volunteers from the group planted cordylines, lavenders, pansies, violets, primroses and other species in 10 new planters installed on the platforms. 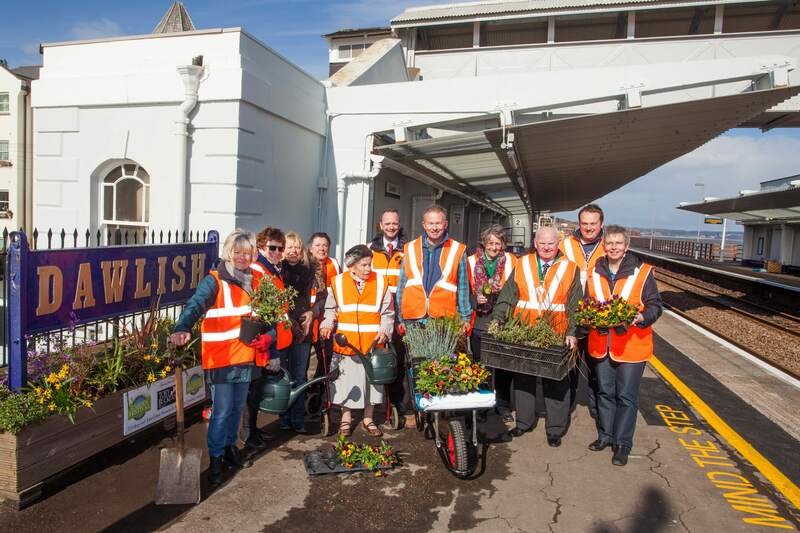 The gardening day was organised as part of Citizens’ Rail, an EU project led by the Devon & Cornwall Rail Partnership which aims to get more people involved at stations on the Riviera Line between Exeter and Torbay. 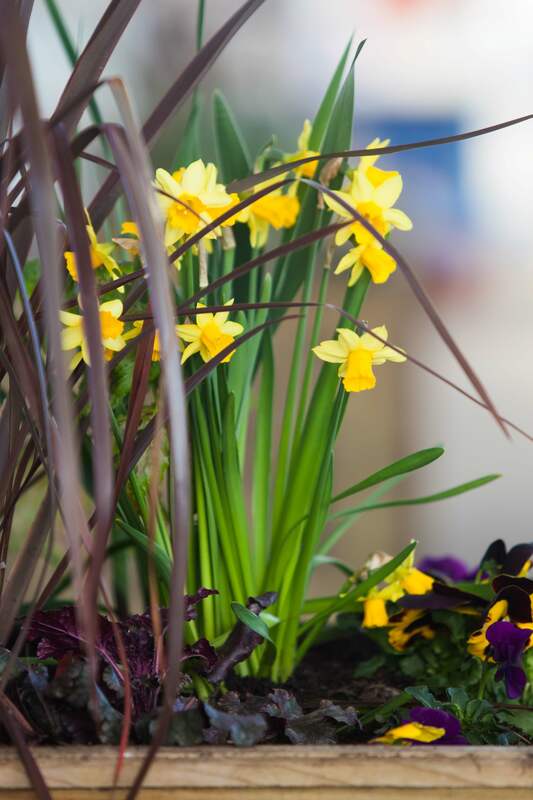 The plants were donated by Dawlish-based horticulturalist Mr Buckland from his nursery and plant centre at nearby Powderham Castle, which on 2nd and 3rd May hosts a major new garden festival with award-winning horticultural exhibitors, live music, food stalls and family entertainment. 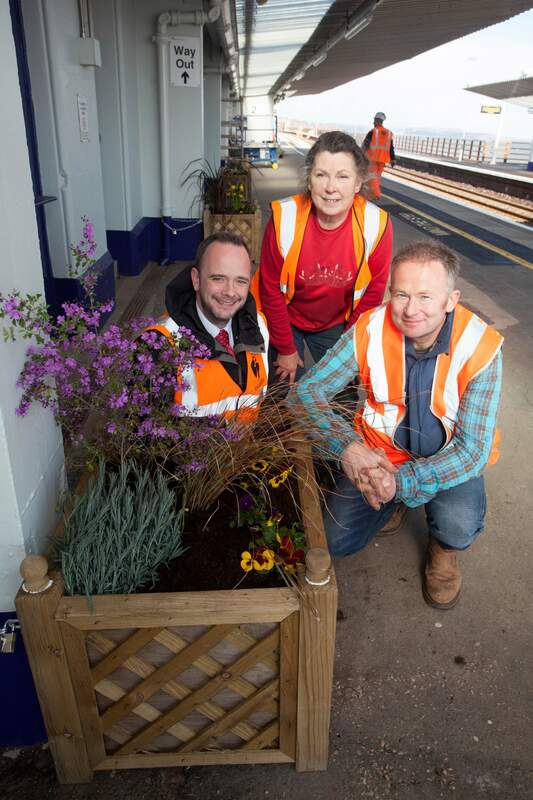 Staff from Network Rail’s “orange army” also helped with the planting day – shifting heavy bags of compost. 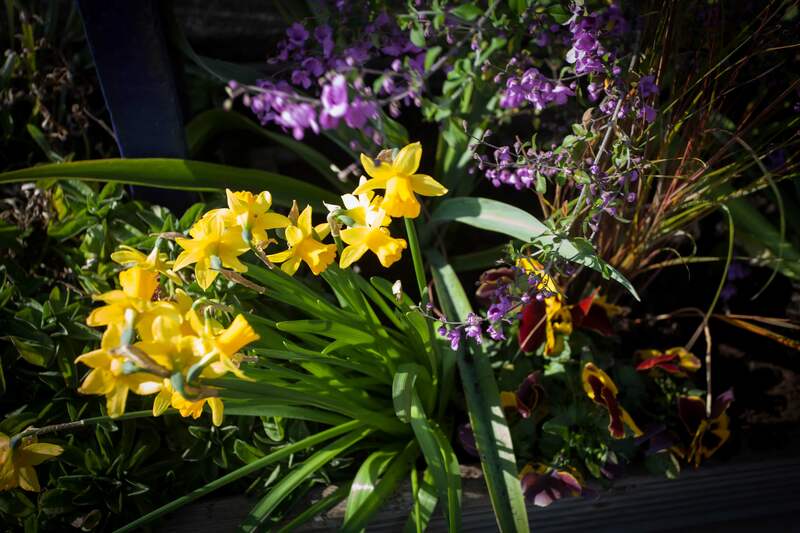 More information about the garden festival – including how to get there by train via Starcross station – can be found at www.tobygardenfest.co.uk or by calling 01626 891133. 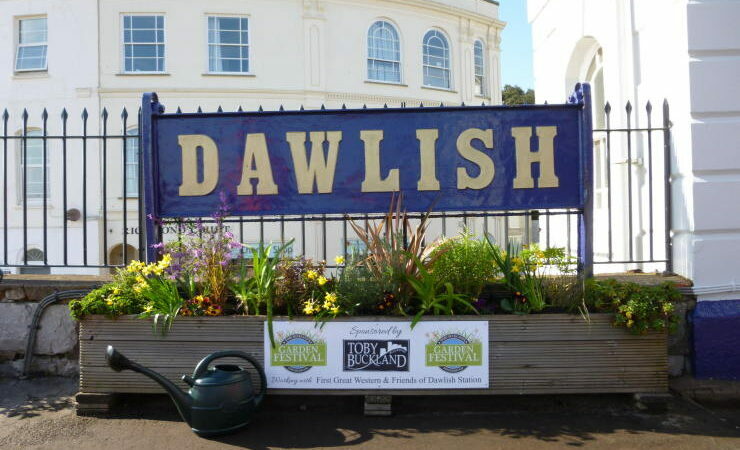 The Friends of Dawlish Station are keen to recruit new members. More information is available from Celia Minoughan, Citizens’ Rail Riviera Line Officer at the Devon & Cornwall Rail Partnership, on 01752 584777, at celia@citizensrail.org or on our Devon page. Photos courtesy of First Great Western. As a great Follower of Dawlish I would like to thank all those vOLUNTEERS AND Staff who have worked so tirlessly to get Dawlish up and running again,well done.